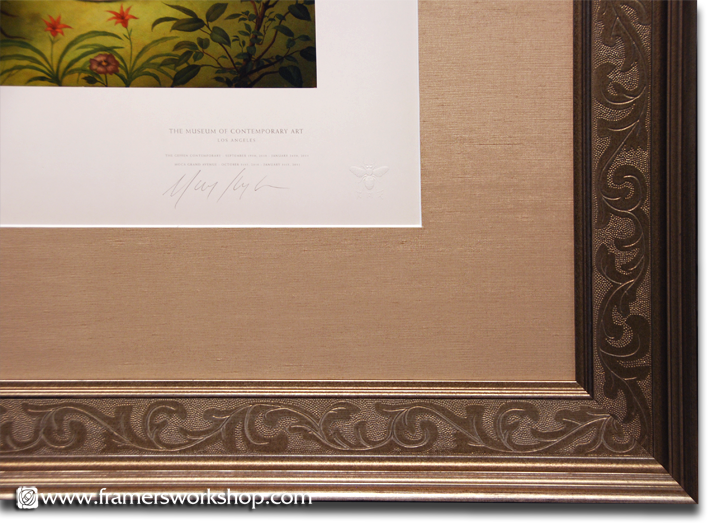 We framed this collector’s edition Mark Ryden print using a taupe silk mat and a large scale Larson-Juhl Marais series frame. We protected the project with Tru Vue Museum Glass. 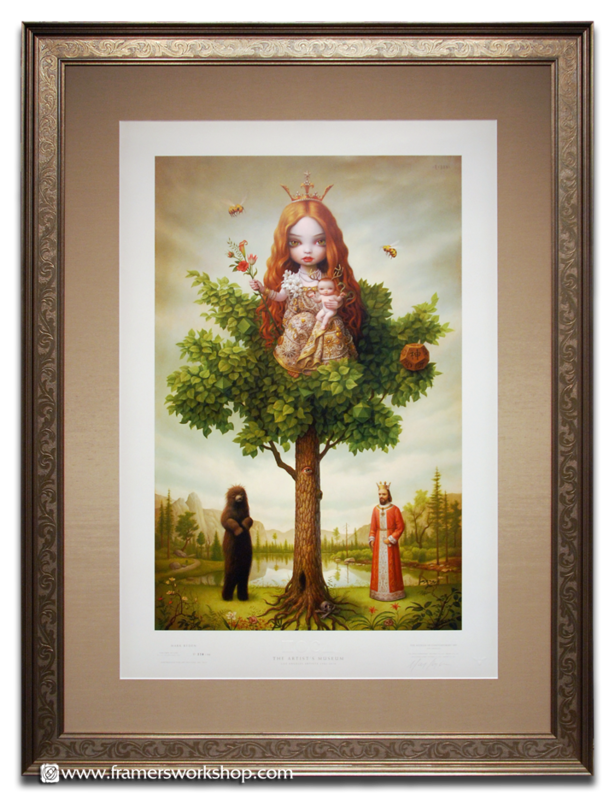 Learn more about Mark Ryden’s art.